My friend’s mom sings in this chorus and her mother gifted me with a ticket to their performance on Saturday, November 15, at the New York Society for Ethical Culture. 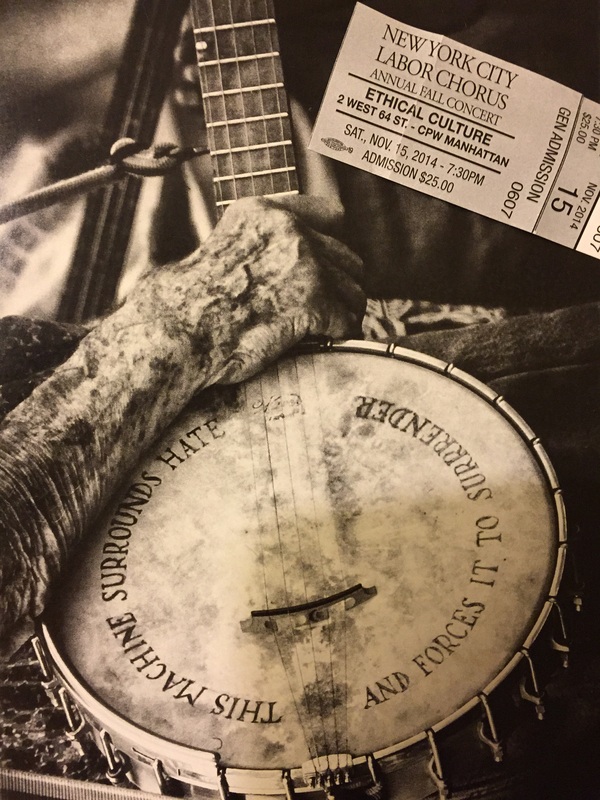 The concert honored one of my personal heroes, Pete Seeger. I am a big fan of choruses. Singing with others creates community. Singing with others for others widens the circle of community. A community singing in protest or solidarity can move mountains. That is the power of song, and that is the power of a group like the New York City Labor Chorus. They packed the house and by the end of their rousing performance, I felt like anything was possible, no matter what your age or ability, as long as you stand together and make yourself heard.